These days are about flinging the patio doors wide open and inviting the sunshine in, letting your skin breathe under the flimsiest of material, turning the radio up and singing along. 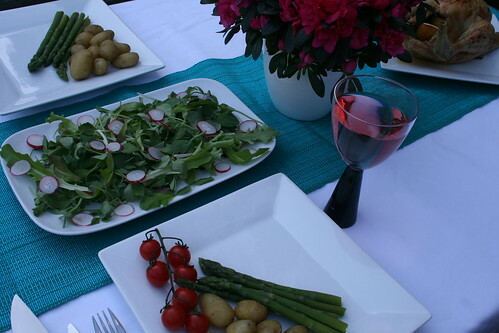 They are about delicate salads of pea shoots and plump king prawns, radishes and asparagus with a warm chicken, a joint of lamb left to slowly brown and melt in the oven served with New Jersey potatoes and little gem lettuce. Simple, effortless, glorious. On these hazy days I’ve lost hours and hours, immersing myself in a lost love I’ve found again. How could I have let it go? I’ve picked up my pencils and paintbrush and begun art journaling once again. Ink, paint, pastel; whichever medium you choose, making a mark on paper and letting your imagination run free is wildly liberating. You can be yourself, you can empty your mind and your emotions out onto the page, you can release, you can heal. No one need see those pages but yourself, unless you want them to; you can make the craziest, childish art imaginable – in part, that’s the point. 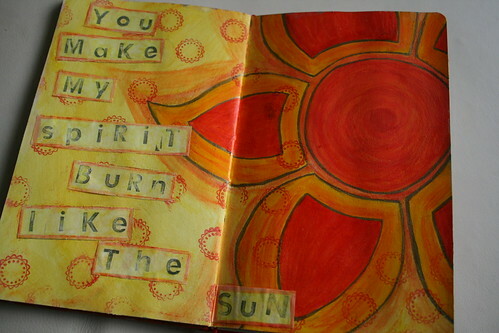 Try it: type ‘art journaling’ into a search engine or YouTube and make the discovery I made a few years ago. You’ll find so much inspiration out there from like-minded souls. Very nice indeed Julia. I have heard a lot about art journaling recently and was very impressed when I looked into it. I have been trying to get back into art too, but am finding it hard to find the time. I managed about half an hour today before Cooper woke up and that is the first for weeks. Oh well. Hope to see more of your journaling. Very inspirational. I have been wanting to take an art journaling class for a while–can you recommend one from youtube or online? I can’t vouch for any of them but I’m sure if you google you’ll be able to find more info on them, and other classes too. 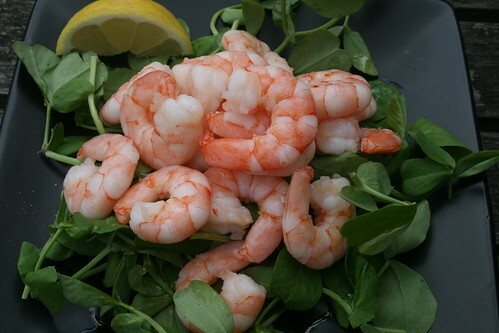 OMG the orange-cream colored prawns on the lush green bed look absolutely delicious. An Amazing Summer Recipe. Thanks for Sharing.